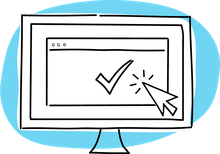 When you produce a booklet, book or multipage report, you need to know how the finished product will be bound before you set up the document in your page layout program and get to work. You can choose from several binding methods, each with its own pros and cons depending on the purpose of the document, need for durability, the best appearance, and cost. Some binding methods require adjustments to be made to the digital file to accommodate the binding process. Some types of binding require only that the margins are wide enough to accommodate the holes for a three-ring binder or spiral binding. For saddle-stitching, you or your printer may need to compensate for creep. Some bindings provide more durability; others allow your book to lie flat when open. Your options are more limited if you want to do it yourself rather than using a local printer for your binding and finishing, and you'll need to add in the cost of special equipment. 3-Ring Binding - This is a good binding option for some types of manuals where page revisions may need to be inserted periodically. 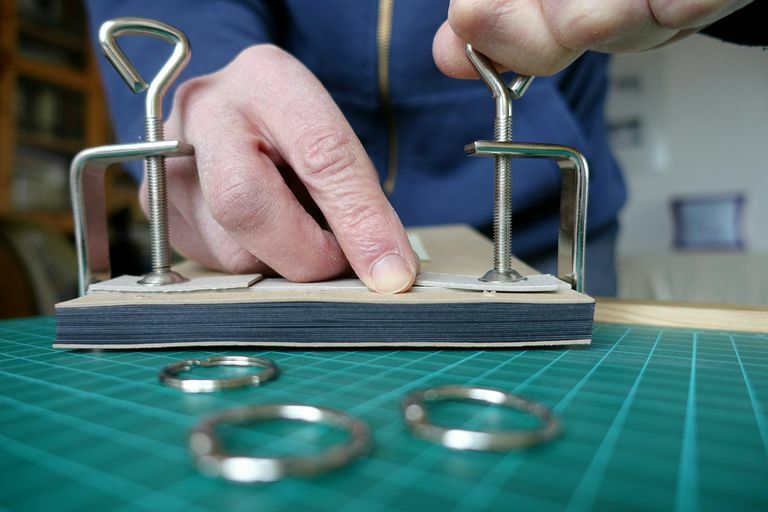 This method is the simplest for do-it-yourselfers because it requires only a good quality 3-ring hole punch. Documents that are going to be 3-ring bound usually require a particularly wide margin at the side of the document where the holes are located. Comb, Coil, Wire Binding - Notebooks, notepads, steno pads, cookbooks, booklets, manuals, reference materials, workbooks, and calendars often use plastic combs, coil, or double-loop wire binding methods. Next to 3-ring binding, this is the most affordable method of binding a booklet or report. The process is not difficult, but it requires the purchase of a specialty binder to insert the combs or coils. Unless you have a lot of booklets, the cost of the equipment will be more expensive than the cost of paying a print shop to the bind the booklets for you. Thermal Binding - Thermal binding provides a sturdy binding with a neat appearance and allows documents to open flat. You can use this method with or without covers. Thermal binding should be performed by a bindery or professional printing company. This may not require any adjustment to your document, but it is best to check with the bindery to confirm this. Saddle Stitching - Saddle stitching is common for small booklets, calendars, pocket-size address books, and some magazines. The staplers used in this process are industrial strength and are often part of a machine that folds and collates the pages of the booklet, stitches it and trims it. If you print your booklet at home, you can have it saddle-stitched at a printing company. If the booklet has many pages, though, creep becomes a problem. Creep is difficult to figure on the home desktop because the image area of each set of pages as you approach the center of the book must be moved slightly toward the binding side. How much depends on the thickness of the paper used. Perfect Binding - Paperback novels are an example of perfect-bound books. Booklets, telephone directories, and some magazines use perfect binding. You'll need to consult with a local binding company to acquire perfect binding. This binding method usually doesn't require any change to your digital file, but it will cost you more than most other binding methods, with the exception of case binding. Case Binding - Case or edition binding is the most common type of binding for hardcover books. This type of binding requires the services of a professional bindery or commercial printer and is not suitable for a do-it-yourselfer. Contact the bindery for information on any special requirements for your digital file. The type of binding you choose depends on both the intended purpose of the document and your budget. Discuss the appropriate binding method with your client (if applicable) and your printer before beginning a project. Your choice of binding not only affects the design and layout of your project, it affects the final printing costs as well.